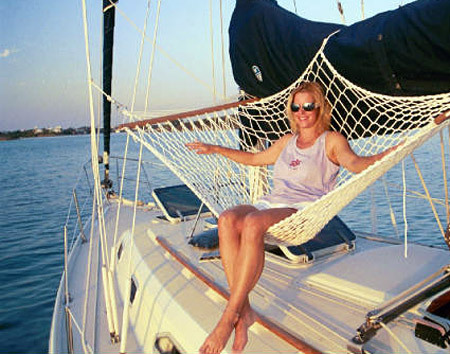 The Sailboat Hammock is uniquely designed to fit on standard rigging of the majority of sailboats. 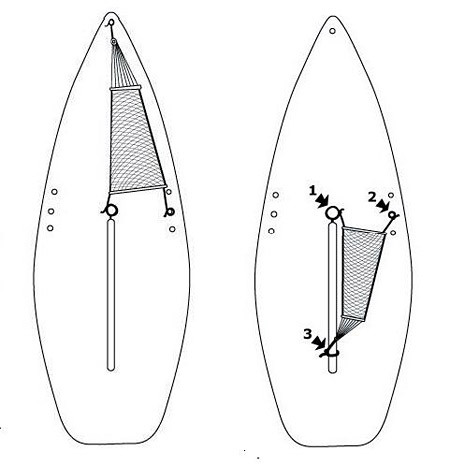 This hammock has three connection points which provide unequaled stability—will not tip, swing, or flip. Ideal for all anchorages and may be placed in the shade of the mainsail cover or on the opposite sunny side, depending on preference. In calm conditions may be used underway, while jib-sailing or motoring. 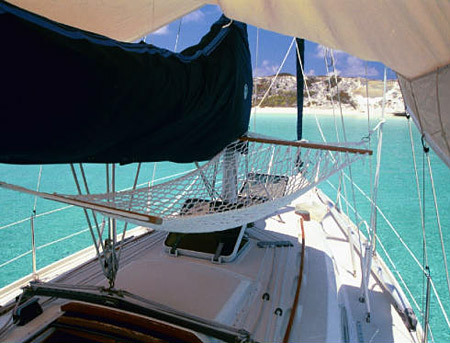 During fair weather and especially on warm nights, Sailboat Hammocks can serve as additional stargazing berths. Placement and mounting information can be found on this page of our site. Also marketed under the name Coolnet Hammocks. Handmade in the USA. 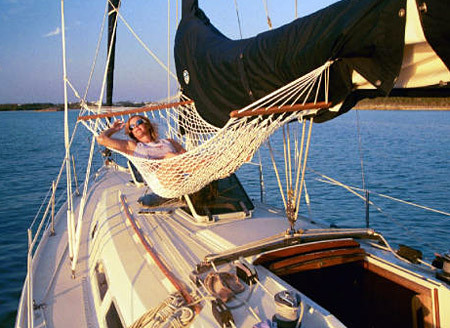 Our long-lasting pillows enhance the comfort of any hammock. Includes Velcro® closure and loops for easy attachment to hammock spreader bar.